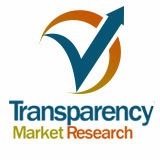 Transparency Market Research includes new market research report "Content Delivery Network (CDN) Market - Global Scenario, Trends, Industry Analysis, Size, Share And Forecast 2011 - 2018" to its huge collection of research reports. CDN stands for “Content Delivery Network.” This network delivers a variety of content mainly video to web browsers, set-top boxes, mobile devices and gaming consoles. It is the basic term in online video or streaming. In the system of distributed servers, the web content and webpages are delivered based on the geographic location of the user, a content delivery server and the origin of the webpage. This system is highly effective in enhancing bandwidth and thus it improves access to the data. CDN comprises of applications, web objects, downloadable data objects, database queries and media streams. The content delivery market has grown rapidly since its conception. The reasons behind this are technological advancement, decreasing cost and increasing demand. Moreover, the tremendously increasing traffic on the internet all over the globe plays a key role in boosting the content delivery networks market. The online video segment is expected to grow at 4X speed and will have an impact on the growth of the content delivery network market. The cellular networks supported by 4G broadband, wireless and cloud-based applications will majorly assist the need for better content solutions. Here, the need for CDN will increase and thus the demand is further expected to be augmented with technological advancement in smart mobile phones, broadband network and other related applications. New players are entering this market with their optimized network solutions and this is happening due to the increased demand for quality service by consumers. Among all the geographies, North America is expected to account for the largest market share in the content delivery network. Content delivery networks’ origin can be traced to the late 1990s when companies such as Sandpiper, Adero and Akamai implemented new methods and increased the speed of web content. In the present scenario, the CDN market has expanded and it includes software delivery, small site acceleration and large video streaming. Moreover, many of the CDN providers offer value-added services such as transcoding, storage, analytics and rights management. The geographies covered in this report are North America, Europe, Asia Pacific and RoW. Some of the major players in the content delivery network (CDN) are Aflexi Inc., Cisco Systems and Microsoft, among others.